The second to last DreamHack of the year will be played on Romanian soil in the newly opened Sala Polivalentá sports arena. The event will host up to 10,000 on-site viewers, who will watch 16 teams battle it out over 4 days for their share of a $250,000 prize purse. DreamHack Cluj-Napoca drew to a close with a ton of exciting games including a triple overtime game in the semifinals against G2 vs EnVyUs where EnVyUs were on the ropes round after round due to losing the first map and still managing to take the win. The event also showed the emergence of G2.Esports as one of the top teams with their new addition Jkaem and a nice showing by fox. We also saw some ‘NiP magic’ taking down the heavily favorite TSM in the quarterfinals and eventually falling short against Natus Vincere in the semifinals. EnVyUs eventually took the trophy and claimed the title as champions and a hefty $100,000 in their pockets while Natus Vincere fell short to claim their first ever title. Eight of the sixteen teams will receive an invite based on their past play in the previous CS:GO major – these are the ‘legends' of the tournament. The other eight ‘challengers' will be found through DreamHack Stockholm, which will act as the final offline qualifier, only after an online qualifier takes place. The first day of the event and the qualifiers will be Wednesday, which will have its matches played in a closed studio environment. Thursday and Friday's matches will also be qualifiers for the playoffs, but the matches will be played on-stage. Saturday and Sunday will feature the playoffs and final 8 teams. The playoffs will be a Ro8 single elimination format with the semi-finals and finals being Bo3. FalleN, fer, Steel-, Boltz and cold. There will be eight matches of bo1’s to be played on the first day. Two matches each from group A to D. Games will start at 11:00 (Local time Romania GMT +3). There will also be eight matches to be played. Four elimination matches and four winner’s matches. Games will start at 11:00 (Local time Romania GMT +3). There will only be four matches to be played. All four are decider matches and will be a bo3. Games will start at 11:00 (Local time Romania GMT +3). This will be the quarterfinals matches and all will be played on bo3s. Games will start at 11:00 (Local time Romania GMT +3). This will be the last day of DreamHack Cluj-Napoca. Both of the Semi-final matches will be played and then the Grand Finals match. Games will start at 12:00 (Local time Romania GMT +3). *8-2 (loss on VP vs Liquid and fnatic vs EnVyUs) including 4 underdog wins so far this DreamHack. G2 Esports vs EnVyUs – One of the biggest surprise in this tournament is the play of G2.Esports and the emergence of Jkaem. VP vs G2 was basically Jkaem vs Snax with G2’s team slightly performing better. Fox had a few good performances but it was Jkaem doing all the carrying. G2 are looking like an unstoppable force. Guess who’s the immovable object? EnVyUs just dismantled fnatic being down 0-1 and taking the next 2 maps including a 16-2 scoreline. Everyone was doing well and playing like a team. This will be a scary game to bet on since G2 definitely have a chance. Jkaem could be put in the conversation as the top players in CSGO with another good performance against the top team, whom I think will win it all. Odds are bad so skip and relax unless you want to go ICB on G2 if you want to believe or high on EnVyUs if you just have no control. Ninjas in Pyjamas vs Natus Vincere – The Swedes have been dominating the CSGO scene for decades now and with Fnatic going down, NiP surprisingly is still in it beating one of the favorites to win the tournament in TSM. Friberg has been criticized a lot lately and he looked like he was playing in NiP’s glory days yesterday against NiP. f0rest basically hitting shots as the 2nd awper while allu is also hitting his shots. Its tough to beat a team who goes for 2 awp strats and both of them hitting their shots. GTR looking like GTR while friberg leads the scoring is a scary sight for any team facing NiP. Na’Vi on the other hand, looks really strong lately taking down a very on form LG in a nailbiter. Na’Vi looks to be underrated right now with their strong play being shadowed by NiP’s hype. I am only going NiP because I believe in the hype and due to the fact they won me $$ with that TSM win. I do suggest playing the odds or skipping this one. G2.Esports/EnVyUs vs Ninjas in Pyjamas/Natus Vincere – I’ll start of by saying if G2 could pull off an upset against EnVyUs, I am still going for NiP/Na’Vi because the only way they could win that match is if EnVyUs suddenly doesn’t show up and makes a lot of mistakes. EnVyUs are the clear favorites in all matchups. 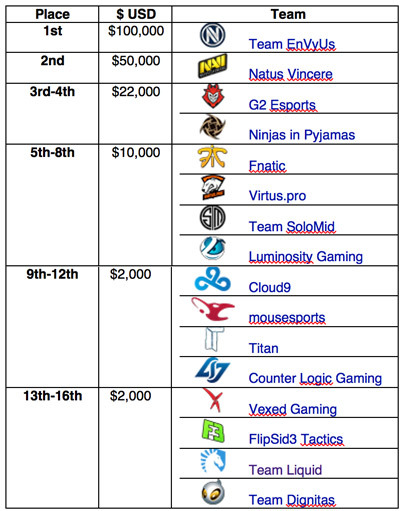 EnVyUs has a history of keeping NiP in check through the previous majors being previously known as LDLC. If Na’Vi shows a strong performance against NiP, I would say it would be a 51-49 game against EnVyUs since they are really underrated in this tournament so far. *Skip and underdog bets are the best things to do on bo1 games. Odds and bets for the DreamHack Open Cluj-Napoca 2015. Most of the big bookmakers will offer betting odds for this Counter-Strike DH tournament. If you want to know more about the various Counter-Strike betting sites click here.